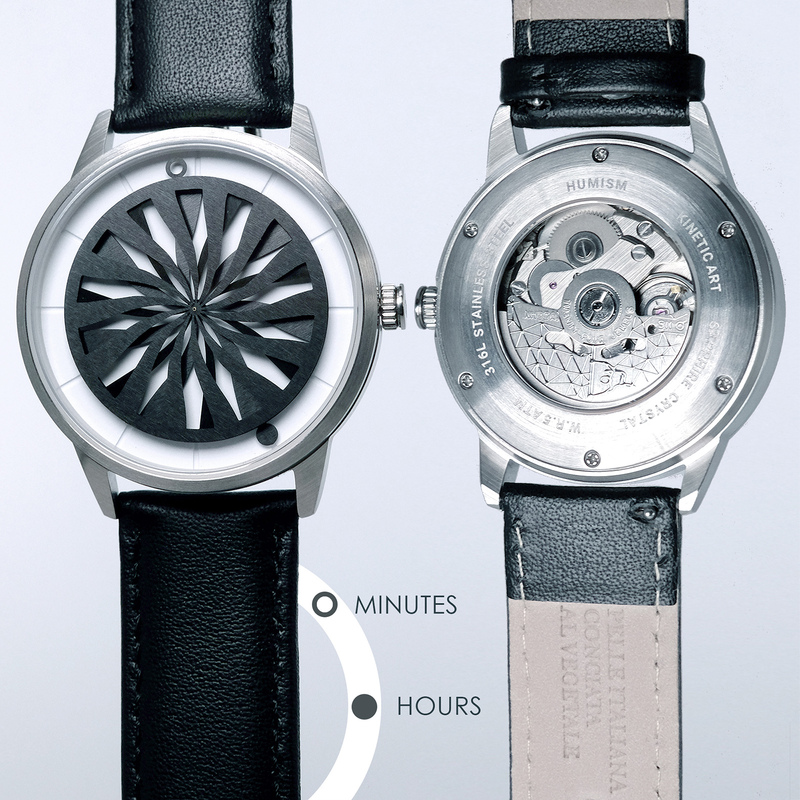 The latest crowdfunded watch brand is Humism, a Singapore based outfit that’s inspired by the kinetic art movement which enjoyed a boom in the 1950s and 1960s. Humism’s debut collection consists of three watches with dials featuring an animated spiralling pattern, and unlike most such watches, are powered by automatic Seiko movements. While each model has a different dial motif, they all rely on the same principle for animation. Time is displayed in a simple yet intriguing fashion: a set of stacked, laser-cut discs with the hours and minutes each indicated by a solid and hollow circle respectively. 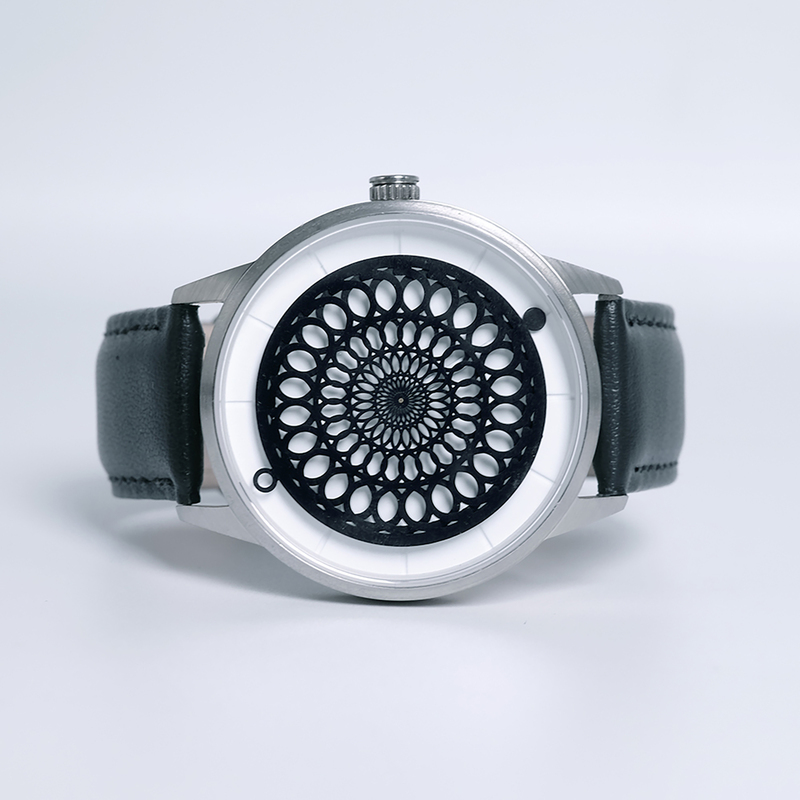 The seconds disc is in constant motion, creating a kaleidoscopic effect as it rotates over the hours and minutes discs. The three models are each named after ancient Greek philosophical concepts: Eudaimonia, Geist and Dasein. 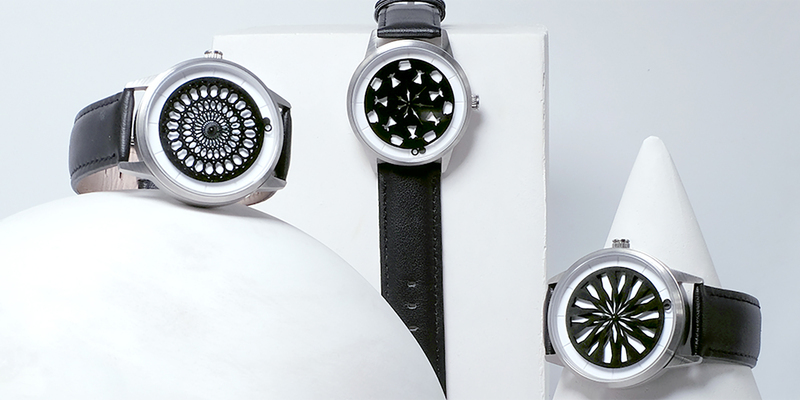 Eudaimonia consists of four concentric circles that dilate as the discs rotate, while Geist uses organic shapes to create an illusion of differing speeds, and Dasein is a geometric floral pattern that radiates from the center of the dial. The watches share the same 39mm stainless steel case. Inside is the trusty 24-jewel Seiko NH-35A movement that has a power reserve of 40 hours and a customised rotor visible through the sapphire caseback. Available for pre-order here, prices start at US$245 for the first 99 watches, and US$265 subsequently. Five percent of sales will be donated to The Red Pencil, a non-profit organisation based in Singapore that advocates the use of art as therapy to help children overcome emotional trauma. The signature IWC aviator's watch in more interesting alloys.